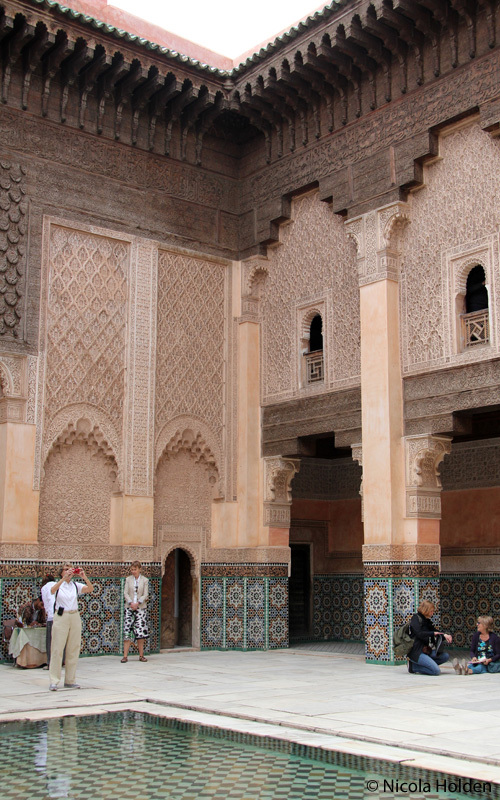 I have been promising to share with you some of the design highlights of my trip to Morocco back in April, and today is the day! 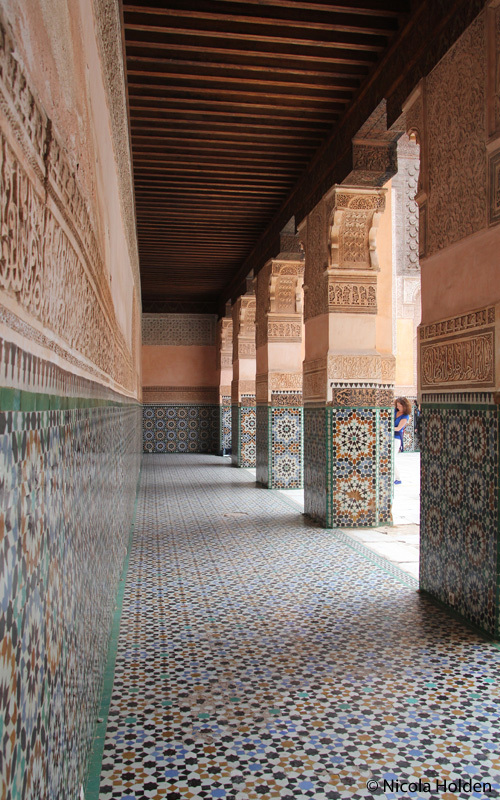 I have long wanted to visit Morocco as it conjured up visions of beautiful architecture, bright colours, mosaics, rugs, and inlaid furniture just about everywhere you looked. I find visiting new places so inspiring, and I come back fired-up with fresh ideas. I relish the opportunity to meet people from different cultures, to taste their food and try to get just the smallest glimpse into their way of life. And, if I’m honest, I was also seeking a bit of Africa and a bit of sunshine – the levels of those in my blood were in need of a top-up! 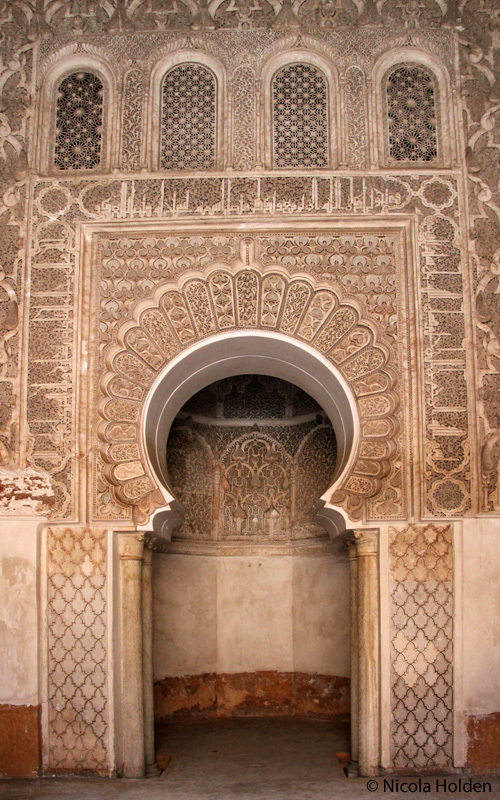 And, of course Morocco didn’t disappoint, although a lot of the beauty was hidden behind the pink walls of the city that you see from the road. But, with a LOT of walking, and a good sense of adventure, we allowed ourselves to get lost amidst the alleyways that make up the old part of the city, and stumbled on some beautiful sights. 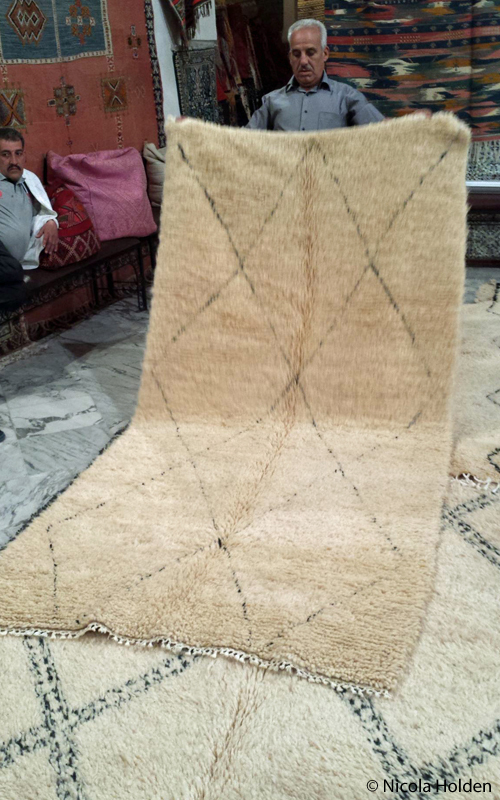 One of the first things I needed to do in Marrakech was to source a rug for a client of mine, and it wasn’t long before I found myself in the souks, and in a huge carpet emporium, being shown their wares. After a bit of too small, too dark, etc I settled on a design that I was sure my client would love. With business done and dusted it was time to seek out a few architectural gems. The riad we were staying in was right in the heart of the ancient walled Medina, and most of our time in Marrakech was spent exploring this area. 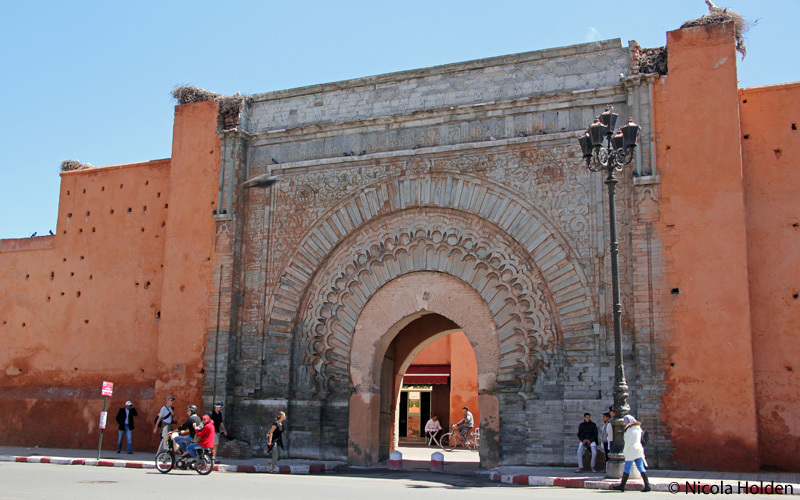 Bab Agnaou is one of the two original entrances to the kasbah (citadel) – pretty spectacular for a gate that was used by the commoners! 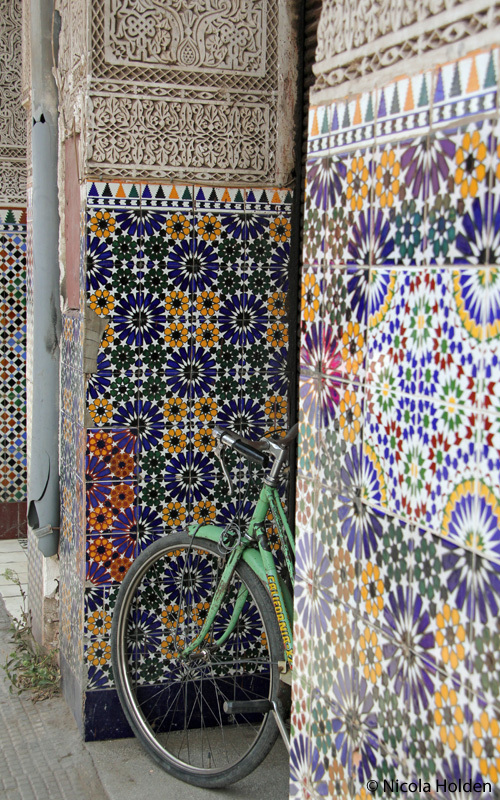 As we left we passed this colourful tiled street scene that I couldn’t help but photograph. 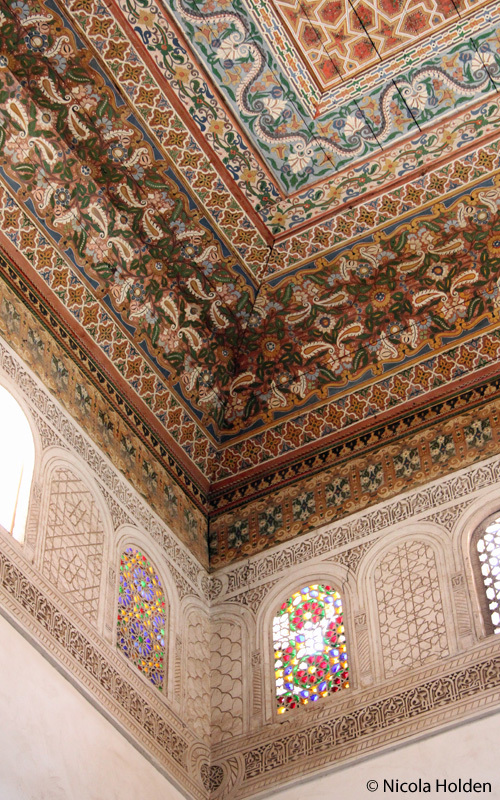 The following day started with a visit to the jaw-droppingly beautiful Ban Youssef Medersa. 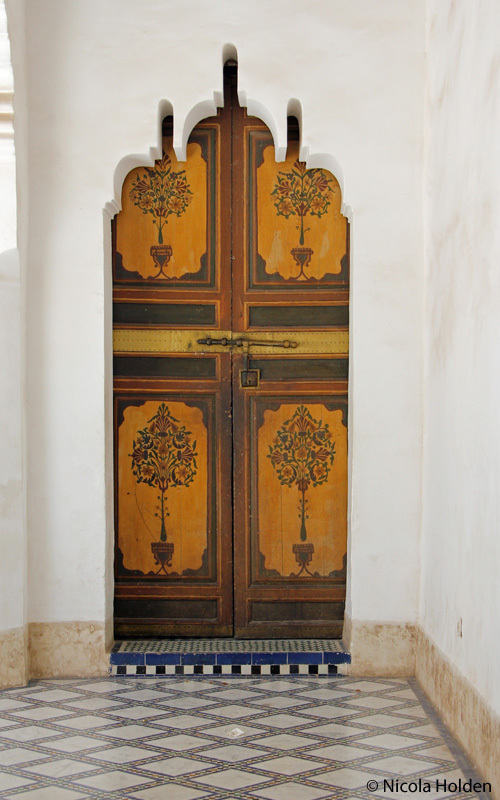 Originally a koranic school, this building comes complete with lashings of intricately spectacular, classic Moroccan décor. Practically no surface is left undecorated. 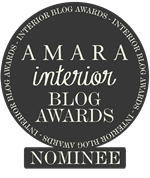 I could have spent hours in this wonderful building, soaking up every single design detail. 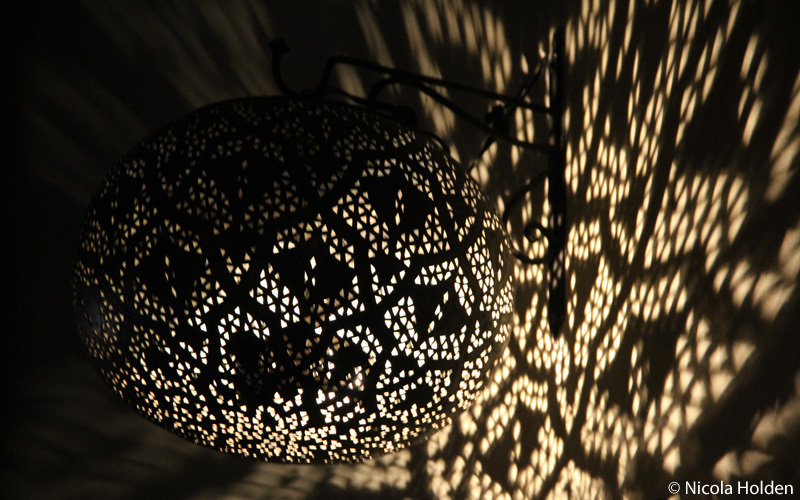 The restaurant we chose for dinner that evening was adorned with Moroccan lamps that cast beautiful shadows over the walls, conjuring an atmosphere of Arabian Nights. 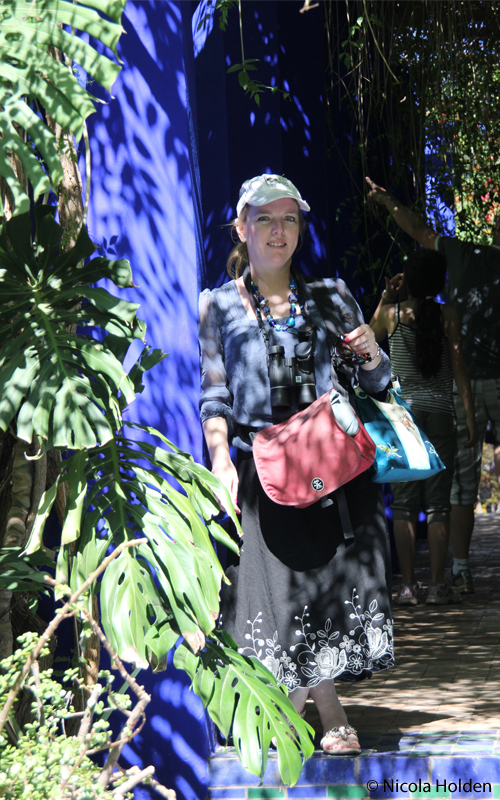 One of our final stops in Marrakech was the Majorelle Garden, created in the 1920’s by French painter Jacques Majorelle, and subsequently owned by fashion designer Yves Saint Laurent. The garden is a wonderful haven of tranquillity in this frenetic city, with bamboo groves, an extensive cactus garden and lily-covered pools. The Art Deco pavilion in the centre of the garden is painted a striking cobalt blue, which brilliantly offsets the multi-coloured bougainvillea, and the bright oranges, lemon yellows and apple greens of the pergolas and pots. 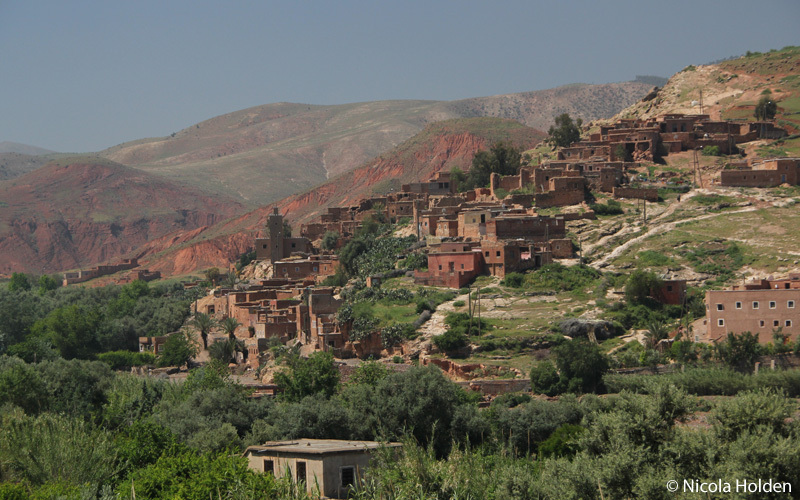 And then it was time to pick up our hire car and head out over the Atlas Mountains and into the Moroccan pre-Sahara for inspiration of a completely different type. Here it was all about the colours and shapes of nature. 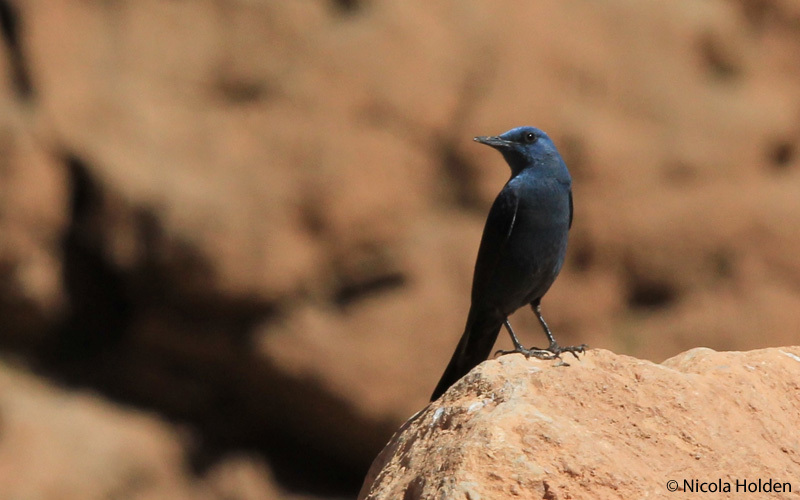 And yes we did spot one or two birds along the way! 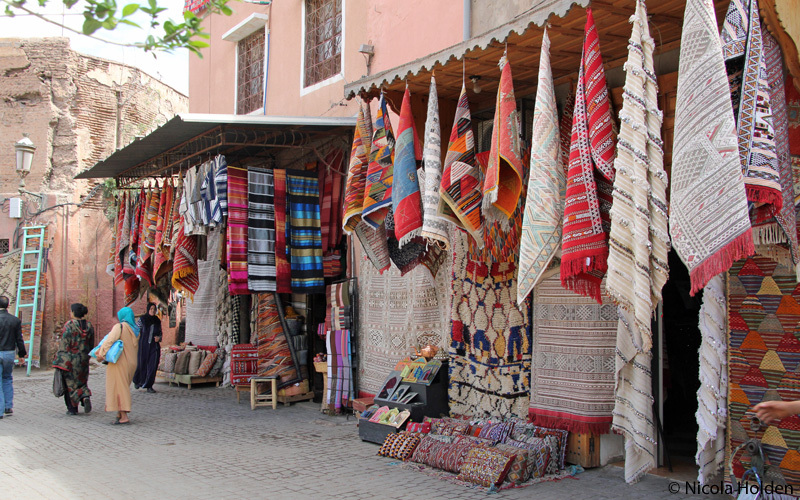 Have you been to Morocco? What was your favourite spot? I’m already drawing up a list of places to go next time!